One of the industry’s most reliable stalwarts, Allison+Partners has consistently delivered high-quality work and solid business performance year-after-year. In 2018, the firm doubled-down on strengthening its portfolio and capabilities across its core practice areas: corporate, consumer and technology, in addition to its All Told digital division. The firm grew 8% globally to $68m and in the US to $55m. CEO Scott Allison said 2018 capped one of the firm’s greatest stretches of organic growth. Nine out of 10 of its top clients returned in 2018, most with expanded budgets, including Amazon, PepsiCo, Seventh Generation, Cortland and Google. New clients include Guardian, Denny’s, teradata and Campaign Monitor. Allison+Partners maintains a single P&L across its offices. Samsung remains the firm’s largest client with Allison holding its B2B, home entertainment and measurement business. For the latter, Samsung’s other PR firms roll their metrics into Allison. Last summer, longtime client Toyota put its US accounts up for review in a consolidation effort. Allison emerged unscathed in the shootout, becoming Toyota/Lexus’ agency of record in North America, while also picking up additional assignments via its All Told digital division. Last year, Allison also bought One Chocolate to expand its presence in the UK and Germany, while also adding a handful of new employees in San Francisco. It’s somewhat jarring to realize that Finn Partners is, despite a rich heritage, still only seven years old, having spun itself off from the venerable Ruder Finn in 2011, at which time the firm had $24 million in revenue and 150 people across six offices. Early in 2019, after very healthy 24% growth in 2018 (boosted somewhat by the acquisitions of New York lifestyle boutique Missy Farren and Boston digital marketing shop Small Army) the firm hit the $100 million mark, and now has more the 700 people across 18 offices, 11 of them in the US, from which it still derives more than 80% of its revenues. The firm has succeeded in part by becoming a haven for entrepreneurs looking to be part of something larger, a positioning that has helped over the years to seal acquisitions such as public affairs and education specialist Widmeyer Communications in Washington, DC, and technology agency Horn Group in San Francisco, as well as attracting high-profile talent such as Gil Bashe, the architect of the firm’s formidable healthcare practice. It’s why Finn — while still very much a full-service agency — has been able to build a leadership positioning in sectors including health and tech, and niches such as travel and arts and culture. The culture of collaboration, meanwhile, means that the firm has not fallen prey to the silo problem that plagues some larger competitors, enabling cross-practice, interoffice teams to work together seamlessly. The various acquisitions have been a significant source of new talent, with Missy Farren, head of her eponymous firm and Debbie Flynn of Brighter Group joining the leadership team in the past 18 months, and Jeff Freedman of Small Army coming aboard in early 2019, while others such as Scott Widmeyer and Alan Isaacson have ascended to senior roles, joining a strong management team that includes all nine founding partners, Bashe, tech practice head Jodi Brooks, and newcomers Jane Madden, managing partner of the sustainability and social impact practice and Ryan Barr, managing partner for financial services. 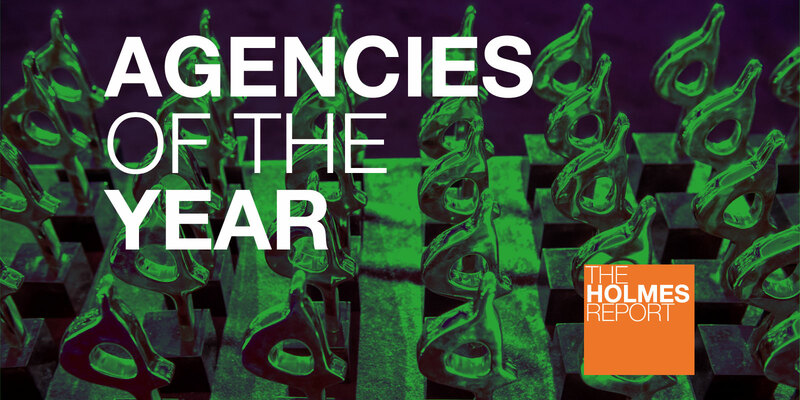 Last year, in naming Marina Maher Communications our North American Agency of the Year, we wrote that MMC "is now playing in a rarefied group of firms that do not just reflect the zeitgeist, but define it." The firm is the established leader in marketing to women, whether the category is lifestyle or healthcare. It is finely attuned to the popular culture—its Cultural Intelligence Engine drives strategy and its Cultural Equity Rating helps brands understand how they fit into the cultural landscape. And its influencer marketing tool, meanwhile, takes brands from Talkability to Shopability, underscoring the ability of PR to drive sales. The past year has seen a refinement of those capabilities and increased emphasis on data and analytics under the leadership of Joydeep Dey, chief strategy officer. The firm has several proprietary products including its MMC Localizer, which helps with geographic targeting; the Talkability Index; Influencer Impact Analysis, which goes far beyond reach to identify influencers with the ability to drive impact; and ImpactiQ. These tools have empowered campaigns for clients such as Head & Shoulders (an influencer campaign that drove in-store sales); Tide (identifying “laundry hacks” that challenged the brand’s value and then out-hacking the hackers); Novartis (targeting men aged 18-35 with science-positive messages to overcome skepticism about big pharma); and Pantene (using content marketing to encourage fans to share #Greathairday stories. The result was double-digit growth—the firm now has a team of more than 230 and fees closing in on $70 million—with new business coming from the likes of P&G’s Pantene, Rodan & Fields, Natural Cycles, United Therapeutics, Bluebird Bio, and Akili Therapeutic (a unique prescription video game designed for children with ADHD). 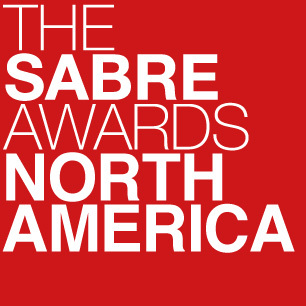 They join longstanding clients such as Johnson & Johnson, P&G, Aflac (for which the firm shared Best in Show at last year’s SABRE awards), Merck, Novartis, Celgene, Eisai, Galderma, and Coty. New Jersey-based independent MWWPR introduced is “corpsumer” research in the summer of 2017, identifying a cohort of 100 million consumers whose brand preferences and purchasing decisions are guided by values, beliefs, and corporate reputations. Since then the concept—if not the somewhat ungainly portmanteau—has become mainstream, corpsumers have become more influential, and MWW’s decision to put the concept at the center of much of its thinking has looked smarter than ever. It’s an approach well suited to MWW’s balanced portfolio of consumer marketing, corporate communications and public affairs business, which has expanded to include a number of sub-specialties. Its crisis communications capabilities are particularly well-regarded and its diversity and inclusion practice (particularly when it comes to the LGBTQ community) is among the strongest in the business. And MWW has been developing digital and social and data and analytics capabilities, from content creation to paid media to search engine optimization. It Mpact measurement platform allows it to track goals, results, and impact. The firm has continued to grow at a healthy pace, growing by close to 8% last year (fees are now around $42 million and the team has topped 200) and now has more than 20 clients with the firm for 10 years or more. New business in 2018 came from Alaska Airlines, Engine, Hershey’s, kb, the New Jersey Transit Authority, Stoli, Tyson, and Whole Foods, while the firm continues to work with Air New Zealand, Atkins, Deloitte, FanDuel, Hilton, Nikon, Red Lobster, Subaru, and Tidal. With the opening of Austin last year, the firm has 10 offices (nine in the US, plus London), all operating as part of a single P&L to drive collaboration. It was another year of double-digit growth for Zeno in 2018, with fee income up 13.6% globally (17% in the US), continuing a pattern that has held since Barby Siegel took the helm almost 10 years ago. The firm now has more than 500 employees around the world, slightly more than half of them in the US, and other key metrics are equally impressive: it retained all but one of its top 20 clients last year, added a host of new business (including Constellation Brands, Blackstone Group and Eisai pharmaceuticals—all of which now count among the firm’s top 10 clients in the US), and now serves more than half of its clients across more than one region. Just as impressive, Zeno applies its “fearless pursuit of the unexpected” philosophy at the nexus of corporate reputation and brand marketing, providing a full-service approach few midsize firms can match. Zeno is still primarily known for its consumer work, and consumer is still about half of the firm’s total business, but the corporate practice now accounts for more than a quarter of the firm’s revenues after a year of 40% growth, and is developing new intellectual property around employee engagement. And of course, there’s strength in healthcare (44% global growth last year) and technology (up 55%). At the center of it all is a global strategy and planning group that has developed the firm’s “human project” methodology, informing social purpose campaigns and brand positioning and consultancy work. Major US clients include Salesforce, AstraZeneca, Lenovo (for which Zeno handles everything from thought leadership and corporate reputation management to content creation), Netflix (it handled social marketing outreach around the show 13 Reasons Why), Intel (work around the PyeongChang winter Olympics), Kia Motors and Yum (Pizza Hut), while new business wins—in addition to the three mentioned above—include the Alzheimer’s Association, Aruba, Blue Nile, Electrify America (a VW subsidiary focused on charging stations for electric vehicles), Gensler, Kohl’s, Hollister, The Honest Company, and State Farm, while the firm also became a roster agency for Coca-Cola.